DashTrain, New Micro-Learning Application and Content Solution, Released by Prositions | Prositions, Inc. DashTrain, New Micro-Learning Application and Content Solution, Released by Prositions | Prositions, Inc.
Prositions, Inc., a leading training content producer and distributor, recently designed and released DashTrain, a new mobile-first application that makes it easier than ever to deliver training and performance support content to employees anytime and anywhere. With thousands of micro-video and audio learning bites on twenty of the most popular subject areas, DashTrain delivers unmatched flexibility for both internal and external training initiatives. 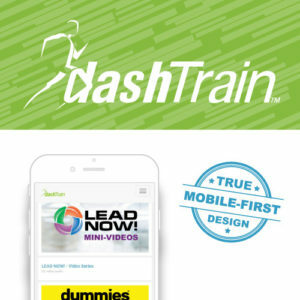 DashTrain was designed for mobile devices first, making the application and content accessible to employees who work without a desk or who are difficult to reach with traditional training delivery approaches. Additionally, by giving learners accurate information and answers at their fingertips, organizations can save thousands of dollars by reducing the time employees waste searching the Internet for job-related answers and information. DashTrain was also designed to work in harmony with existing learning management systems (LMS) and other technology platforms and can be accessed by almost any desktop, laptop, tablet, or smartphone. Its intuitive design makes implementations and rollouts simple and quick, with no end-user learning curve.